Infants are the stuff that dreams are made of, aren't they? The little bundles of joy somehow manage to look funny, odd, and sweet all at the same time. And they somehow manage to melt our hearts just lying there, sleeping. Parents never tire of waiting to see what the baby will do next or to reach for the camera to capture those special fleeting moments. Loving your baby is one thing, but caring for her is quite another. So below are some information on a few things that you'd might want to know regarding your baby. But please keep in mind that no information on a website can substitute for a visit to your baby's doctor. You should schedule regular check ups and keep up to date on all health related issues through your pediatrician and/or obstetrician and/or family doctor's office(s). Milestones: You'll want to have these developmental milestones for your baby close to hand. It would be a great idea to mark down these milestones in a calendar, notebook, or a journal to look back to years later. These will truly make wonderful memories for the whole family. Educational infant toys: So many toys that will make your eyes and head spin. What do you choose? What do you ask for? What's good, what's bad, what's needed, and what's just plain ol' waste of money? Activities: In these precious moments, when your baby is being exposed to the world, what are some things that you can do to help your baby's growth, development, and transition? If you're reading this page, the chances are that you're expecting or recently had a new member join your family. If that is the case, then a warm congratulations to you and your family. You know, a baby is truly a blessing and can make feel and learn things that you never knew, even if it's not the first time around! On that note, toys are great, activities are great, and milestones are important. But you know what? None of those things are as important to you and the baby as love. Love your baby and you'll never be sorry. Give her all the other things, but without love, they mean nothing. I wish you many precious moments with your baby and wonderful memories to cherish for a lifetime and more. Don't get too caught up with things or demands on you or expectations. Just love the baby, enjoy her presence in your life, and you'll be great! Think your baby is the cutest child in the whole wide world? You know that every parent thinks it and says it, but here's your chance to prove it. 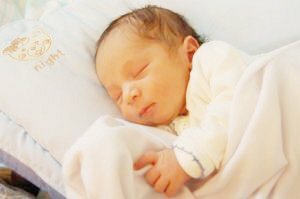 I found these two sites where you can upload your baby's pictures to enter a contest with nice prize money on the side. But it's not about the money. It's showing the world how cute your baby really is. Check out these two sites and upload your baby's pictures. 1) Great American Photo Contest: Enter Your Baby Photo Now for $2,500.00! Don't Wait! Winning $2,500.00 Couldn't Be Easier! Your Baby Can Win $1,000,000! Guaranteed cash prize of at least $2,500 every month. Enter today for a chance to win the $1,000,000!